Well, vintage lovers, I am soooo behind in sharing my junking finds with you. The brass lamp above? Garage sale find on my way to work on Friday. Yes, it's adjustable. Yes, it's vintage. Yes, it's sweet. And only $4. 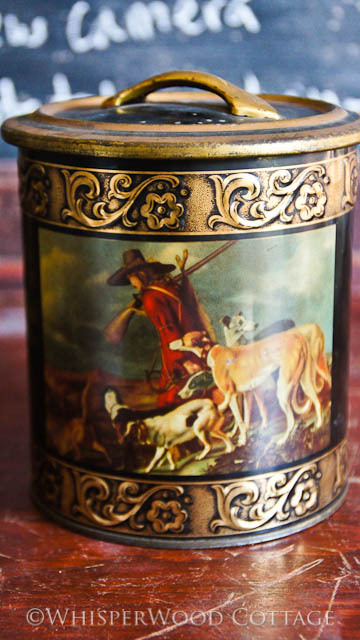 The German tin above (made in Western Germany says the stamped bottom), with the greyound/whippet type hunting dogs was 50 cents at Goodwill. 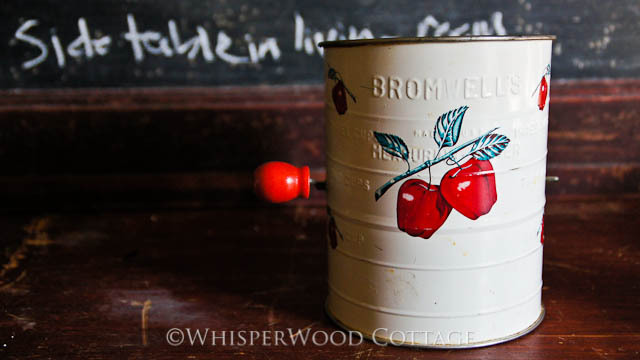 This vintage Bromwell flour sifter made me smile...those red apples with the white metal...vintage kitschy happiness! These two step stools were $4 each at an auction. 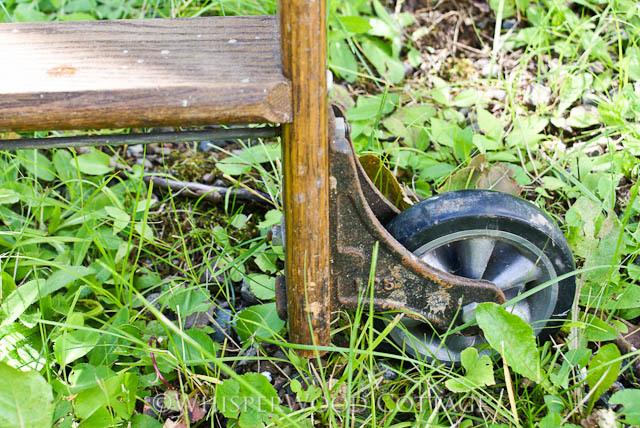 The rolling cart? Only $6 at one of my favorite (and secret) junk haunts. The galvanized labels were $2 for all at the same secret junk place. Gazillion foot tall library ladder? A Craig's List find. Came from a local bookstore that closed about 20 years ago. Not antique like my other library ladders, but it is much taller and has it's own vintage attitude. 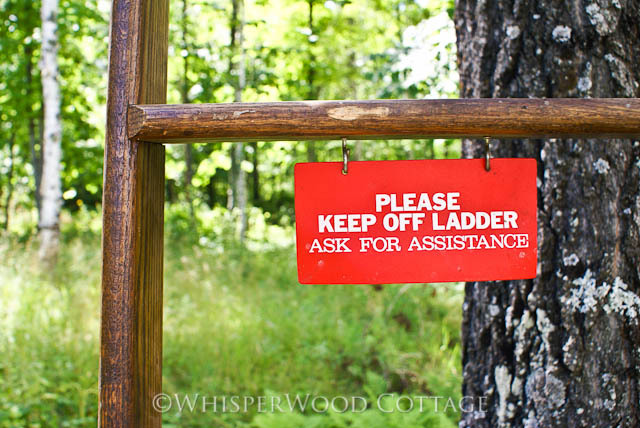 This quirky little sign hanging at eye level...too fun! and all trolleys in place! 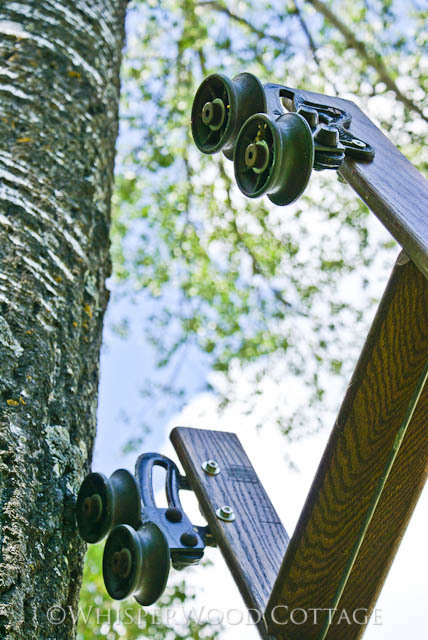 It came with the track and mounting hardware, too. Yum! This beautimous little table was a flea market find in August. It is the perfect scale and tone for the living room. 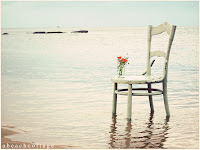 Remember Heywood and Wakefield...the pair of chairs I had? You can read how we "adopted" them, accessorized them, and sold them. 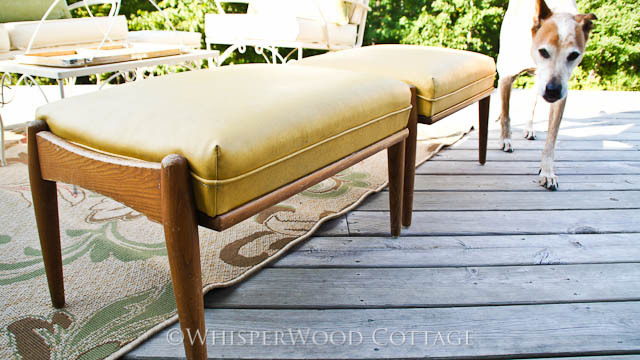 Well this is Heywood, Jr. and Wakefield, Jr. A matching pair of Heywood-Wakefield footstools/ottomans. In a warm, fall-inspired, golden tone. 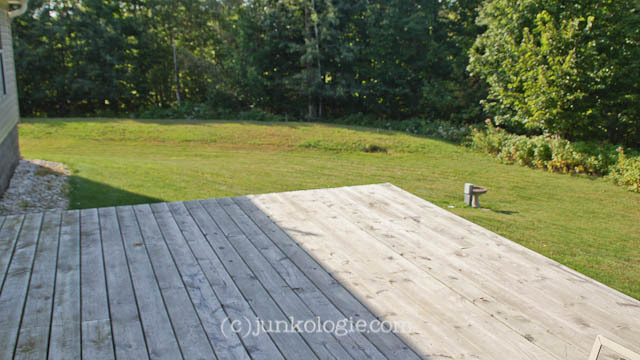 I also found something to fill this corner of our über-large back deck. More on that soon! And I just remembered a couple other August finds that I forgot. Better grab the camera! I'll be posting some of the auction things that I did NOT get over at Junkologie, so stop on over to see the other goodies at the auction. I also have a huuuuge list of projects that I wan to get posted. 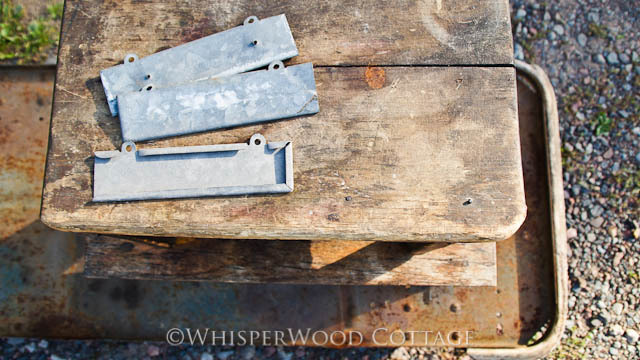 I'm talking projects involving burlap, exterior paint, spray paint, sanding, repurposing, and rearranging. Lots to come! I seriously need to go junking with you. i can't believe all the cool stuff you find each week. I loooove those galvanized signs...super cool!!! Your secret place must be amazing. Wow! Fantastic finds. I love that ladder. Isn't it sweet having secret shopping places! I love all your treasures and can't wait to see what you will be doing next! That flour sifter is sweet! I'm going to have to get rid of the rust colored walls in my kitchen so I can bring back some funky red "stuff". What great finds. My favorite has to be the lamp, love it! What awesome finds. That lamp for $4.00!! 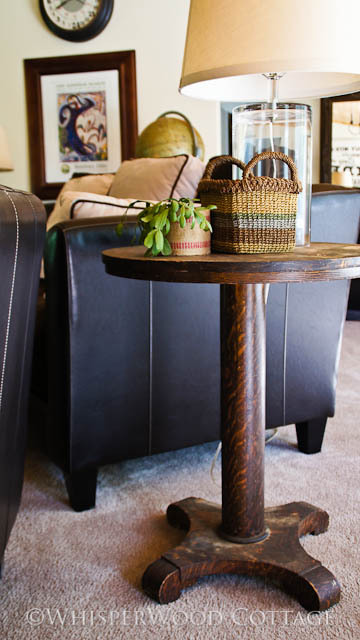 Love those foot stools too. 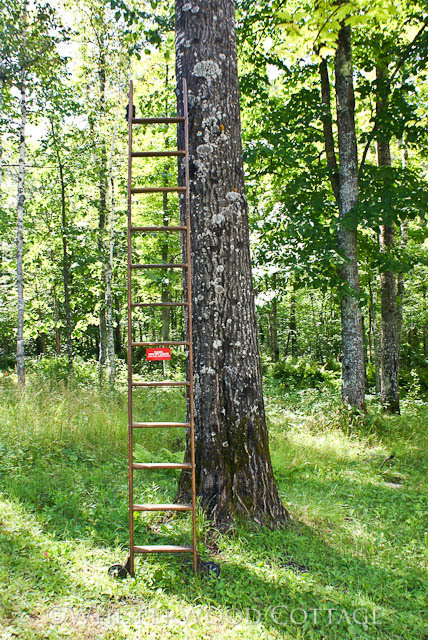 And that ladder!! Love it all. Thanks for letting me know about the Authentic Style linky party. I've linked my yardstick tray tonight. 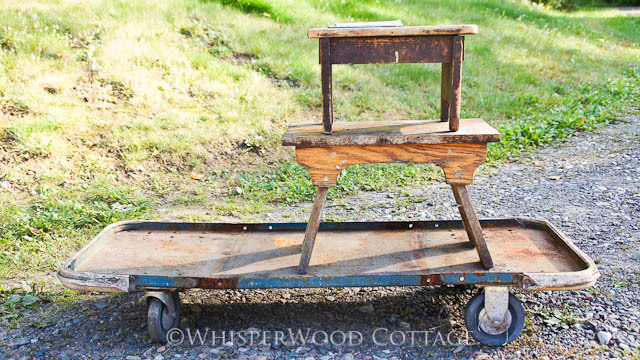 If it is galvanized or on wheels - I love it, so I love the cart and labels! The $6 cart is my favorite. I too have secret sources for great junk. These are all excellent finds! Love the cart and that ladder!! And the lamp is totally awesome! What great finds!! So pretty! I loved everything. I love finding good stuff at garage sales for a mere pittance when you know it's a treasure! I can't believe you got that lamp for $4, people are crazy for the things they get rid of. Good for you on finding it! Wow, love it all! Esp the lamp and the ladder... you're simply going to have to raise the roof and install floor to ceiling bookshelves! OH that ladder is my favorite!! What a find! 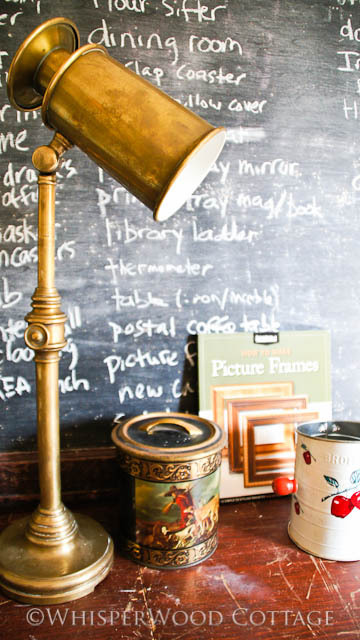 The brass desk lamp was such a great find!